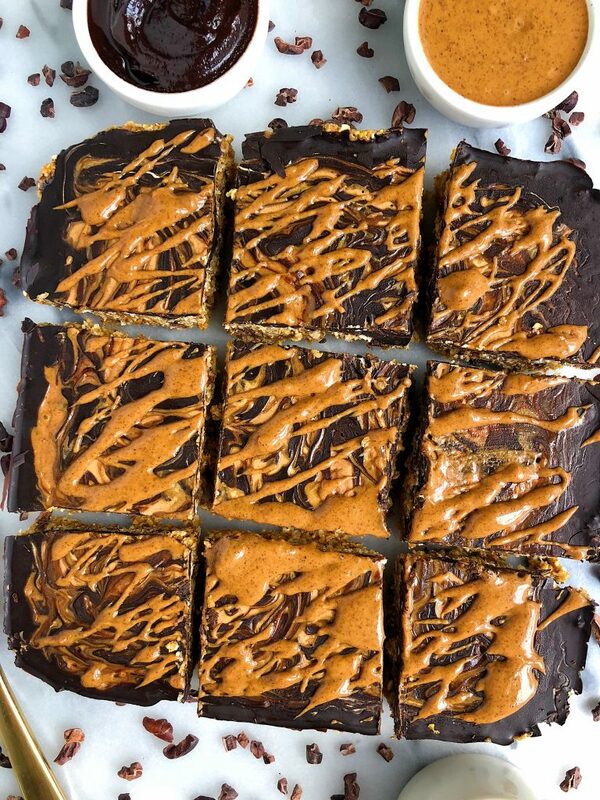 Dark Chocolate Sweet Potato Snack Bars made with vegan and gluten-free ingredients for a delicious homemade breakfast and snack bar! Tis the season for all things pumpkin and sweet potato. And it is always the season for all things dark chocolate and snackin’. Theses new homemade Dark Chocolate Sweet Potato Snacks Bars are one of the best snacks I have made in my kitchen, ever. I’m all about the snack life and to be honest, anyone who isn’t craving a little somethin’ somethin’ around that 4pm slump clearly doesn’t know what they are missing. Call me crazy but I look forward to my snack time even if it is at my laptop catching up on work and emails. Brings me happiness and usually something delicious. 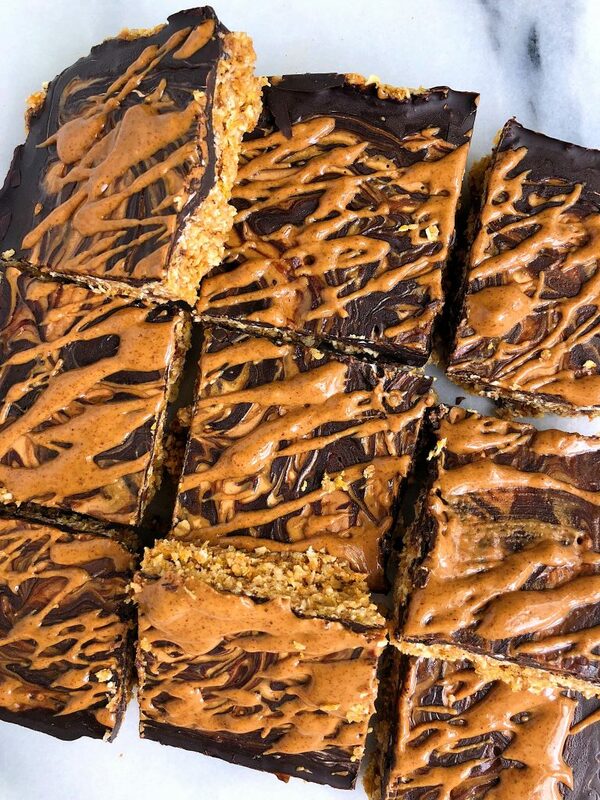 What I love about these Dark Chocolate Sweet Potato Snacks Bars is how easy they are to make. They’re vegan, gluten-free and pretty low in sugar compared to the usual store-bought bar. Remember a couple months ago when I introduced a new brand called Creation Nation to you guys? We made those No-Bake Peanut Butter & Jelly Bars and everyone went crazy. There is something about a homemade snack that gets ya every time. That is why I love Creation Nation and their amazing protein bar mixes. Think baking mixes except for bars and bites/balls. No baking needed, just the mix with your favorite nut butter, nut milk and any other add in’s you have on hand. Creation Nation comes in a variety of different mix flavors like Primal Protein Bar Mix, Vegan Protein Bar Mix and the mix we are using today, Vegan Energy Bite Mix! The Vegan Energy Bite Mix is made with ingredients like gluten-free rolled oats, organic shredded coconut, organic flaxseed meal and the only sugar comes from the semi-sweet chocolate chips with organic cane sugar. It is not over powering or too sweet, which I love. I added in the sweet potato with almond butter and coconut oil with the mix to make the most perfect bar texture. 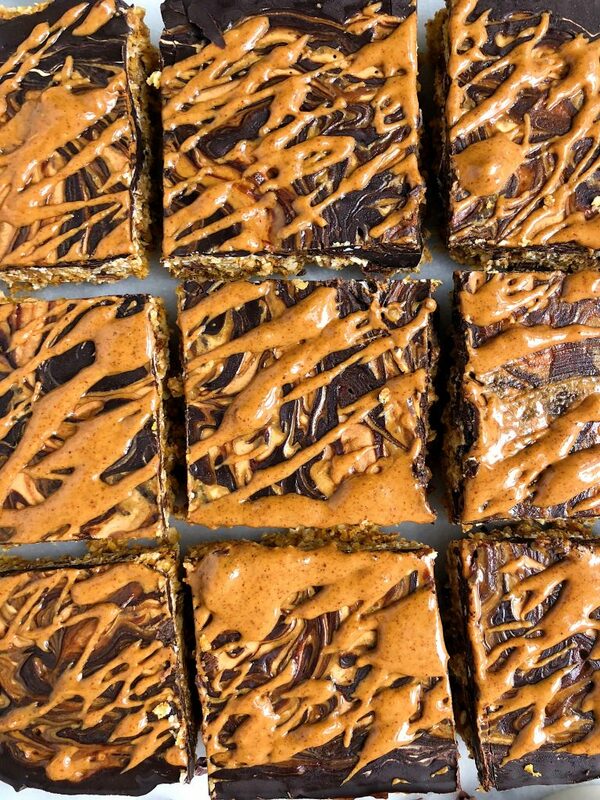 Topped with dark chocolate and almond butter drizzle, the flavors are unreal. I cannot wait for you guys to try these! Thank you Creation Nation for partnering with me for this post. I love working with brands I love and believe in! HI. This looks really good. It seems that the Creation Nation Energy package contains oats. Im trying to stay away from grains. IS there a different package I can use or can I substitute it with something else and get the same benefits and taste? Thanks so much!